The Xiaom Mi 8 Lite was released in the fourth quarter of 2018 and at the time of its release, not much was said of the durability of its glass display. 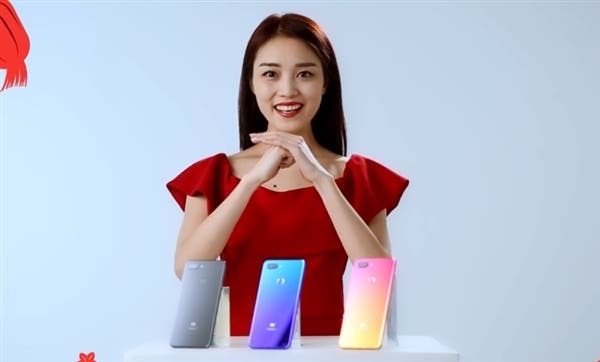 Now, Xiaomi has officially confirmed that both the Xiaomi Mi 8 Lite and the Redmi Note 7 uses the same second-generation Corning Gorilla Glass which is designed for cheap products. According to Corning and Xiaomi, this Gorilla Glass 5 increases the resistance by four-fold. Today, a Xiaomi official, Wang Chuan shared an evaluation video of Xiaomi Mi 8 Lite showing that it can be used as a chopping board and it can smash things just like the Redmi Note 7. The test uses a steel ball to wipe with force. After repeated swipes, the back shell of the smartphone is still as clean as new, and the gradient color effect is not affected. The second test is to turn on the display and use the screen as a chopping board to cut fruits and vegetables. After cutting the pepper, carambola, and carrots, the screen is neither broken nor scratched. The Xiaomi Mi 8 Lite comes with a 6.26-inch display with a notch. It is powered by a Snapdragon 660 AIE processor coupled with 4GB/6GB of RAM and 64GB of internal storage. In the camera department, this smartphone comes with a 24MP Sony IMX576 selfie shooter coupled with a 12MP Sony IMX363 + 5MP dual rear camera. Its lights are kept on with a 3350 mAh battery.